Wikipedia.com:Nowitzki is one of the best shooters in the NBA, capable of shooting a high percentage from both medium range and beyond the three-point line, an exceptional skill for a 7-foot power forward. His tall frame makes it difficult for defenders to guard and contest his jump shots. Nowitzki possesses a good fadeaway jumper, which is often impossible to block, and he is outstanding at the free throw line (over 90% in 2006). Some critics note that, for a man of his size, he should be able to score more from the low post, although in recent years his inside game has improved. Nowitzki was a great complement to former teammate Steve Nash on the pick and roll. When Nash left for the Phoenix Suns, many felt that both would suffer a drop-off in production, but precisely the opposite has occurred: Nash was named the NBA’s MVP in first year in Phoenix, while in 2004-05 Nowitzki became known as one of the premier scorers in the league. Though Nowitzki now has to create his own offense more without the benefit of Nash’s pinpoint passes, he was able to adjust to the change fairly easily with a combination of driving and stopping in the lane for jump shots. Nowitzki is not considered an elite defensive player, despite his 7 foot frame, but his defense has improved under the tutelage of current Dallas coach Avery Johnson. 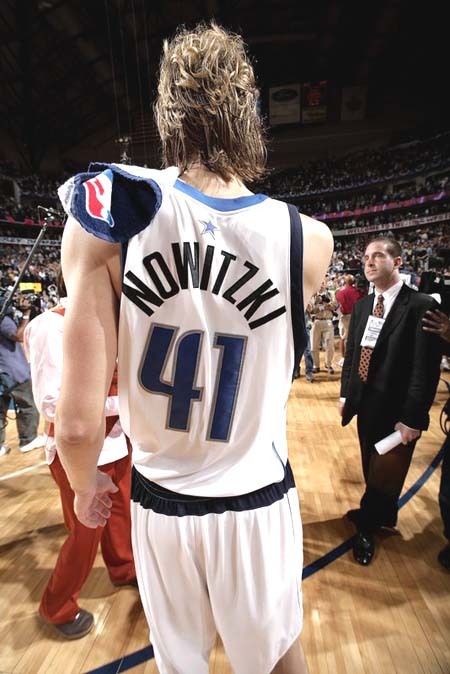 Recently, Nowitzki notched a career high in blocks on January 6, 2006, with seven against the Denver Nuggets. Nowitzki is frequently compared to Boston Celtics legend Larry Bird, as both are considered among the best shooters of all-time and both are prolific scorers. Another reason for the frequent comparisons is both are Caucasian players in a league traditionally dominated by African-Americans. Even those who make such comparisons, however, acknowledge that Bird had a more developed all-around game and was a better passer and defender, while Nowitzki’s talents are mostly limited to scoring and rebounding. Bird was an immediate sensation in the league while Nowitzki, who entered the league three years younger than Bird, took some time to develop. While Nowitzki’s scoring pace has now caught up to Bird’s, his rebounding still falls short; Nowitzki has never averaged more than 10 rebounds per game, while Bird, in the first six years of his career, never averaged fewer than 10. Nba.com: German-born Dirk Nowitzki was an outstanding junior player who applied for early entry to the 1998 NBA Draft, where he was chosen ninth overall by the Milwaukee Bucks. Immediately traded to the Dallas Mavericks where he started slowly but has blossomed into a top player in the league. Has risen to the level of being named the best international player by general manager survey conducted before the 2002-03 season. The 7-0 forward who at times mans the pivot can strike fear in an opponent when he corrals a rebound and leads the break or prepares to launch a three-point bomb. Named to the 2002 All-NBA Second Team and later that summer earned MVP honors at the 2002 World Championships while paying for his native Germany in Indianapolis. Nowitzki was named Germany’s Player of the Year for 1998 by Basket magazine.. He led his club team to promotion into the German First Division (Bundesliga). Prior to reporting to Mavericks training camp he was the leading scorer in the German First Division league (21.4 ppg) and ranked third in rebounds (8.4). He played eight games with the German National team in the European Championships 22-and-under tournament. In the championships, he scored in double figures in seven times, including a 34-point, 15-rebound performance in Germany’s final game, a 97-95 overtime win vs. Lithuania on 7/23/98. Germany finished seventh in the tournament with a 5-3 record, thanks to Nowitzki. He captured global attention at the 1998 Nike Hoop Summit Game in San Antonio over the Final Four weekend when his International Juniors team defeated the USA Juniors. 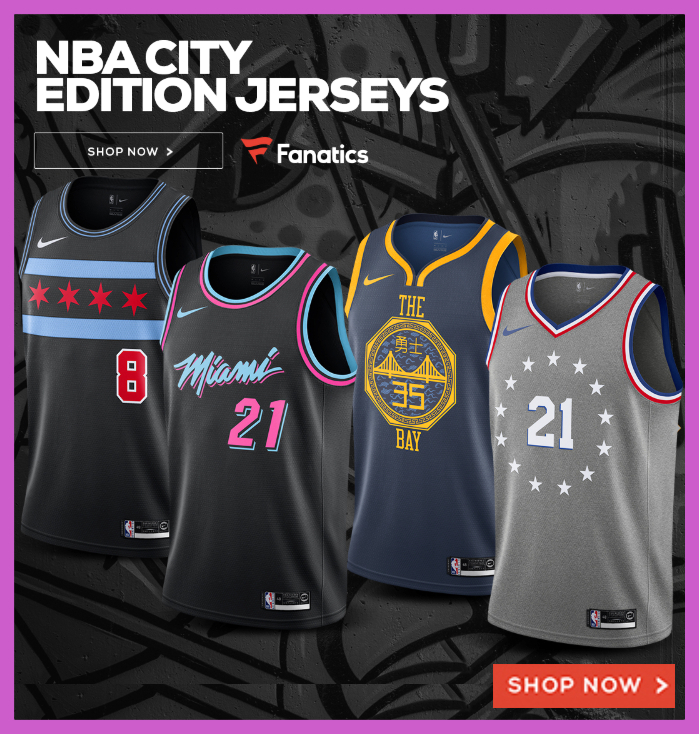 Nba.com Personal Facts: His older sister, Silke, works for the NBA in International TV. His father, Joerg, played handball and his mother, Helen, starred for the German women’s national basketball team. Nowitzki, like several other international NBA players, served a mandatory army stint: for the German army from 9/1/97 to 6/30/98. He enjoys reading and playing the saxophone in his spare time.